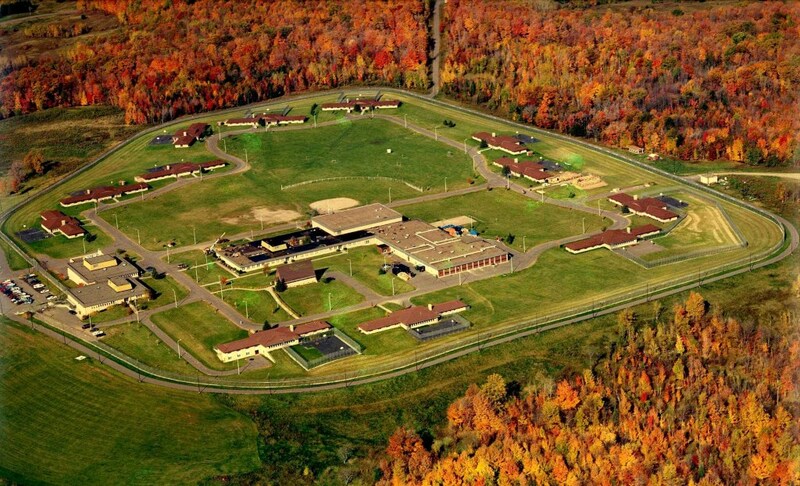 Teen girls put in isolation for months, attempted suicide, at state’s Copper Lake facility. Lincoln Hills School and Copper Lake School. Photo from the Wisconsin Department of Corrections. The U.S. Court of Appeals for the Seventh Circuit this week reinstated claims brought by two Iowa teens who alleged they were subject to excessive isolation and force when they were housed in Wisconsin’s Copper Lake youth prison for girls. The suit named as a defendant the Iowa official who oversaw placement of Iowa youth in the Wisconsin facility. The opinion was written by U.S. Circuit Judge Joel M. Flaum, who was joined by U.S. Circuit Judges Daniel A. Manion and Ilana Diamond Rovner. Iowa closed its female youth facility in 2014 and contracted with Wisconsin to house at Copper Lake girls found delinquent in Iowa courts. Iowa paid Wisconsin $301 per day per child. Iowa declared Laera Reed and Paige Ray-Cluney delinquent and sent them to Copper Lake in 2015. The girls were 16 at the time. Ray-Cluney says she spent five months in isolation from the end of June until December 15, 2015. Reed says that between August 2015 and February 2016 she spent between 64 and 74 days in isolation. According to Reed and Ray-Cluney, isolation meant spending 22 hours per day in a seven-by-ten-foot concrete cell. The cells were stained with urine and contained only a metal cot and thin mattress. A thick cage covered the one window, reducing the light passing through. During their limited daily release from the cells, the girls were allowed only to shower, use the restroom, exercise for 15 minutes, clean their rooms, use 15 minutes to write a letter, or sit in chairs by themselves without speaking. They received little or no educational instruction. In August 2017 Reed and Ray-Cluney sued Wisconsin’s Administrator of Juvenile Corrections and several Wisconsin officials associated with Copper Lake. In addition, Reed and Ray-Cluney sued Charles Palmer, director of the Iowa Department of Human Services. Reed and Ray-Cluney filed their separate lawsuits in the U.S. District Court for the Western District of Wisconsin, alleging constitutional violations arising from excessive use of isolation cells and excessive force. They also alleged intentional infliction of emotional distress and negligence. Reed added violations of the Iowa constitution. The Seventh Circuit appeal involved only the claims against Palmer relating to Copper Lake’s isolation cells. The plaintiffs did not allege that Palmer knew about any use of excessive force. According to the complaints, Palmer contracted with Wisconsin to use the Copper Lake facility, retained legal custody of both plaintiffs, monitored and received reports about plaintiffs’ confinement at Copper Lake, and knew or should have known about Copper Lake’s use of isolation cells. Nevertheless, say the plaintiffs, Palmer failed to remove them from Copper Lake or ensure that Copper Lake properly trained and supervised its staff. In district court, Palmer moved to dismiss based on qualified immunity. U.S. District Judge Barbara B. Crabb agreed with Palmer and dismissed all claims against him. Reed and Ray-Cluney appealed. The plaintiffs’ claims against the Wisconsin defendants were not affected by Palmer’s dismissal. Qualified immunity protects public officials from civil liability unless their conduct violated a clearly established constitutional right that a reasonable person would have known about, the Seventh Circuit said in its opinion. The doctrine balances the need to hold public officials accountable for their irresponsible conduct and the need to protect them from liability when they perform duties reasonably. Qualified immunity does not protect a public official from suit if a plaintiff shows that the official violated a constitutional right and that right was clearly established at the time of the challenged conduct. To be clearly established, the law must “be sufficiently clear that every reasonable official would have understood that what he is doing violates that right,” said the Seventh Circuit. Judge Crabb believed that even taking the facts alleged in the complaints as true, no law clearly established what action was required of someone in Palmer’s position. The Seventh Circuit recognized that under an Eighth Amendment cruel-and-unusual-punishment test based on culpable and serious denial of life’s necessities, the plaintiffs’ allegations held up. The court pointed to a 1974 case involving use of corporal punishment and tranquilizing drugs at a juvenile institution and noted a recent case out of New York holding that juvenile isolation is likely unconstitutional under the Eighth Amendment. Likewise, the Seventh Circuit found that plaintiffs’ allegations met the requirements of a more lenient Fourteenth Amendment due-process test for pretrial detainees. Under Supreme Court case law from the early 1980s, restrictions on liberty are permitted only if reasonably related to legitimate government objectives and not for punishment. Thus, said the court, under either test case law clearly established that Palmer’s alleged conduct could violate the Constitution. Crabb had found that unlike the officials in prior cases, Palmer did not himself oversee use of the isolation cells or operate the institution in which alleged abuse occurred. But the Seventh Circuit found that Palmer’s separation from the institution at issue and his lack of personal involvement in placing the girls in isolation did not alter the need for remand. The Seventh Circuit pointed to the special relationship created when a state removes a child from parental custody and to prior case law defining the right of a child in state custody not to be handed over to a custodian that the state knows is a child abuser. On remand, Palmer may reassert other defenses to the case, including his argument that the Wisconsin federal court lacks personal jurisdiction over him. Further, Palmer may obtain qualified immunity on summary judgment if the facts fail to support the plaintiffs’ allegations regarding the extent of their isolation or Palmer’s level of involvement and knowledge.